Get It Done Mommy: Party Time! My baby is turning 2 on Thursday! We had a small party today to celebrate and it was a great day. 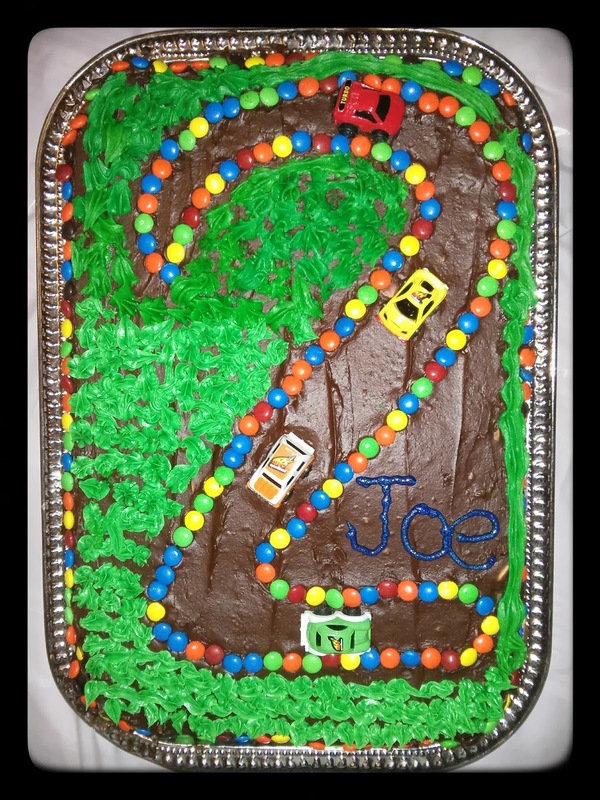 The little guy loves cars - both real and toys - so I decided to do a car theme for him. We painted little wooden cars with glitter glue. We had a race with little cars that are motorized by balloons. We did a pinata stuffed with car goodies. We grilled lemon chicken which came out great and served it with a big salad and a tomato macaroni and cheese casserole using "wheel" pasta. For dessert I made our traditional sugar cookie. 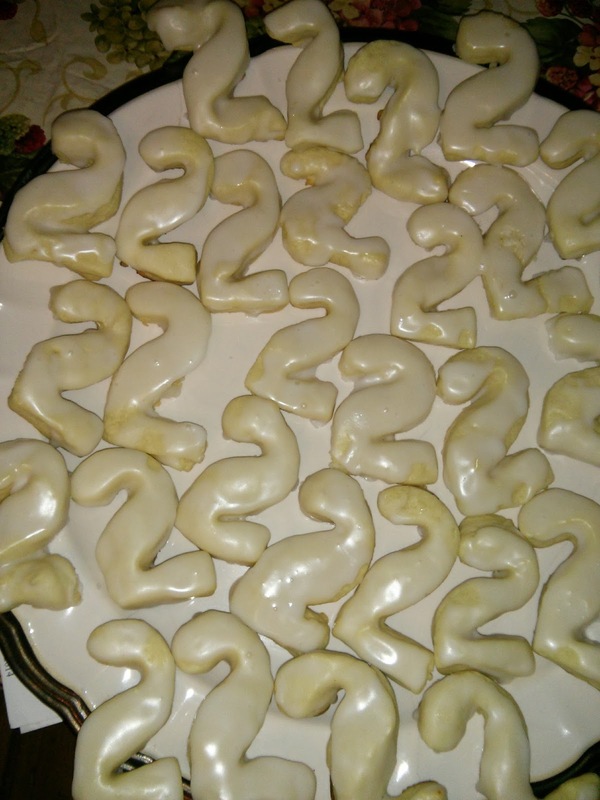 Instead of running around looking for cookie cutters that go with the theme I bought a box of number cookie cutters so just make cookies shaped like the kid's age. 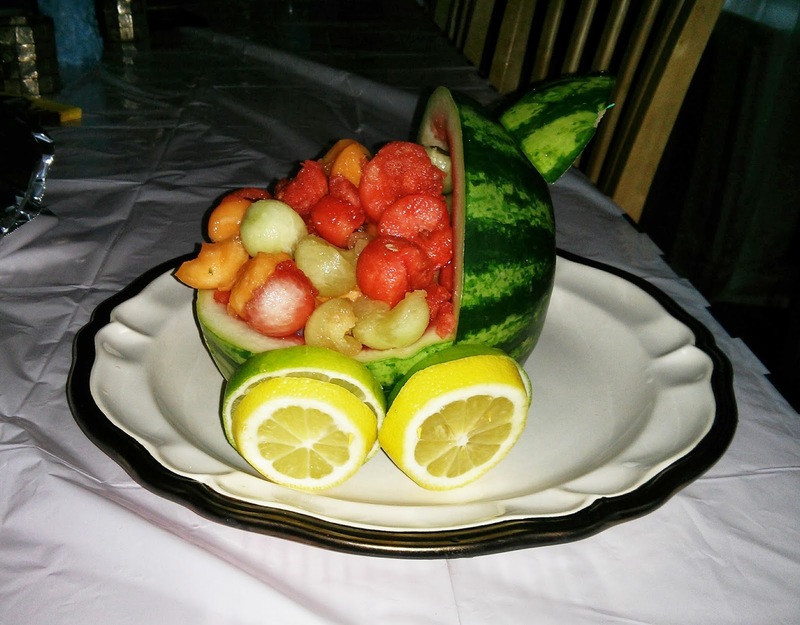 My husband was in charge of making a "watermelon car" fruit bowl. We think it looks a little more like a baby carriage, but still cute! And this labor of love was created by me and my big boy late into the night. I baked a double batch of a Martha Stewart recipe for vanilla cake. I knew that since I was going to work all day I wouldn't have a ton of time, so opted to do a semi-homemade with the frosting. I found online Pamela's Dark Chocolate Frosting Mix -- it's the cocoa powder, sugar, etc. already mixed together and all you have to do is add a little water and butter. Great time saver!